Pushkara navamshas are special navamshas that enhance the quality of the planet. Pushkara bhagas are special degrees, which bring good luck and auspicious energy to the chart. Push means to nourish and kara means who does or what causes. So pushkara navamsha nourishes the quality of the planet placed within it. This can take the quality of the planet from ordinary to extra-ordinary. Pushkara are not given in many texts. They form the secret part of Vedic astrology in which when you dig deep; you come up with gems of analysis. The secret part was essential to give serious astrologers insight where the amateurs could fail. Chandra Kala Nadi, Jataka Parijata have a few shlokas that mention them. I read about Pushkara in C S Patel’s book Navamsha and Nadi Astrology, Jataka Parijata and Chandra Kala Nadi, but the final analysis is my own research and experience. Navamsha is the most important varga. Planet positions in their navamsha finally decide whether they are strong or weak in the chart. Do they feel supported or not. Therefore Pushkara navamshas become very important. They are specific areas in charts that nourish which give planets the capacity to heal and regenerate themselves. This special navamsha allow the personality to flourish. Regardless of the situation of the planet, its qualities become replenished. It is always the navamsha ruled by the same signs within the same elements that become pushkara. Study the table below for further clarification. While there are two Pushkara in each sign, they do not fall in Aries, Gemini, Leo, Scorpio, Capricorn, and Aquarius navamshas. These navamshas can be taken as points of personal development, where individual learns from their own mistakes. Aries, Gemini, Leo and Aquarius are male signs and their navamsha may use up all the energy available to them not try to regenerate the planetary qualities. Scorpio and Capricorn are female signs but these are complex areas within signs. Scorpio creates sudden transformation and Capricorn makes planet feel very burdened, even if they are well placed. As Capricorn makes us face up to our karmic responsibilities and therefore we are not able to nurture the soul. If planets are placed in these navamshas, it should not be taken as minus points. What needs to be understood that these planets have to be self-motivated, their job in this life uses up some of the positive energy saved from previous lives, and therefore pushkara does not nourish them. That may not be negative, just the way life is. Not everything can be saved up or nurtured. But by being aware of these qualities, we can make sure that we learn to nourish them through our actions. Ketu Nakshatras (Ashwini, Magha, and Mula) do not have any pushkara navamsha. Mars (Mrigasira, Chitra, and Dhanishta) do not have any pushkara navamsha. Mercury (Ashlesha, Jyeshta, and Revati) do not have any pushkara navamsha. Ketu nakshatra are beginning stages for the development for the soul. These stages can be very intense and therefore personal effort and the struggle of the soul to live a material life is there. In Ketu nakshatras, the soul is taking a new step in its development, so it uses up some of its accumulated nourishment. So while they are aspiring for moksha, their very action depletes their collected good karma and planets find it difficult to find nourishment in these circumstances. That does not make it wrong or bring weakness but pushkara cannot thrive. The soul cannot change the situation and in its pursuit for the next level of development, they have to use up some of their equity. It is like taking a loan for present development, which will bring future rewards. But the present will make them feel burdened. Mercury nakshatras are areas of transformation where the debris of all soul’s negativity gets collected, the soul struggles to make the changes, the mind is active trying to make sense of their circumstances. The planets struggle to transcend, therefore there is no calmness and stillness provided by Pushkara. Planets use up their energy and do not always feel nourished. The pushkara navamshas throw up some interesting points. The rulerships of the navamshas are by benefic planets. 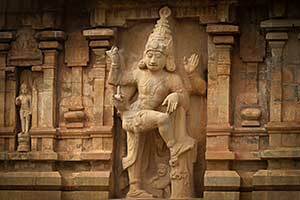 Jupiter and Venus ruler nine pushkara each, one in fire, earth and air elements, whereas Moon and Mercury rule one each in Water elements. Water signs are known as moksha houses as well. Moksha houses are about self-realisation and the rulership of Moon and Mercury- the two planets of the mind should that we have to nourish our mind before we can aspire to realise ourselves. Another way of looking at it is that a nourished and quiet mind helps us to go towards self-realization. The planets that are not placed in pushkara need to be energized, as they do not have the capacity to nourish themselves. Pushkara bhaga are specific degrees where planets become especially auspicious to do good. The exact degree is becomes very powerful agent for being positive, whereas the navamsha is still powerful but not as intense as the degree. Pushkara degrees are used for Muhurta. Choosing the muhurta lagna on a pushkara bhaga makes that a very auspicious moment. According to the CS Patel, Bhagas are not found in Ketu, Sun, Mars, Rahu and Mercury nakshatras while Jataka Parijata has pushkara bhaga in Rahu and Sun nakshatras but not in Ketu, Mars and Mercury nakshatras. Mostly the Jataka Parijata pushkara bhaga degrees are used. I am also using Jataka Parijata bhagas as it gives these actual degrees in the text. Plus it resonates with my research. I have been infomred by one of his students that CS Pate'ls information is from Purva Kalamrita. Do research both sets of degrees and come up with your own conclusions. Jataka Parijata says that pushkara should be used in muhurta, natal and any other factor under consideration. Other factors under consideration are in prashna and maybe relationship compatibility. Muhurta:There are 24 pushkara navamsha and 12 pushkara therefore every hour a pushkara navamsha rises and every two hours a pushkara degree rises. Therefore when you need to find an auspicious time in a hurry, you can chose a pushkara navamsha or a pushkara degree. Some degrees reflect both the navamsha and degree of pushkara. In Taurus, the pushkara navamsha and the degree are vargotamma; therefore that particular position is extremely strong. Generally when planning a muhurta, it would be good to choose a pushkara degree or navamsha rising. This protects the chart and gives it a benefic quality. To have the benefic planets, lagna lord, 9th lord, 5th lord as well as the lord of the house for which you are performing the muhurta (10th career, 4th- home) to be in pushkara navamsha will further fortify the chart. Natal:Remember pushkara is added on knowledge. You should analyse the chart by all traditional methods and then study the chart to see whether any planets are placed in pushkara bhaga or navamsha. If a chart does not appear to have any great strength but it has ascendant in pushkara bhaga and 10th lord in pushkara degree, the quality of the is chart changes and your analysis will be different. The chart is showing extra ordinary strength with both the lagna and 10th lord fortifies. Pushkara will bring strength to the chart, nourish it after it has used up some of its energy. The individual may not immediately gain the strength, but is guided through these auspicious degrees to work with their issues, accept them and learn to overcome them. Planet in an exact degree is stronger than the bhaga so the quality will be more intense. If you have Sun exalted in 21º Aries, it is in pushkara navamsha and bhaga. But this is also the debilitated navamsha of the Sun. Sun debilitated by navamsha shows hidden lack of confidence, need for support of others, and low self esteem. The weakness indicated by the Sun in its debilitated navamsha is being over-ridden by the fact that the Sun is pushkara both in navamsha and bhaga. Therefore an individual may experience some weaknesses of this debilitation, but they are quickly able to overcome it and make the Sun, its karakas, house rulerships etc positive. Low esteem will be there but the person learn confidence, pushkara will make them feel strong instead of weak. All texts say lagna, lagna lord, and 10th lords in Pushkara gives great strength and good luck to the birth chart. In my experience, the more planets in pushkara, the stronger the chart. The lagna is a pushkara degree or navamsha brings fortune and success. If the lord of a house is placed in pushkara or the bhava Madhya of the house is placed in pushkara, this strengthens it and makes it a force to do good. Pushkara imparts sweetness to the chart that brings in higher qualities of goodness, spiritual aspirations and material success as. Those who have their rajayoga karaka in pushkara or their yogas taking place in pushkara, they are specially blessed. This enhances an already strong position to something sublime. The experience of pushkara is during their dashas. If the dasha lord is in pushkara or the lord of bhava Madhya that are pushkara, it will give special results in relationship to its signification’s. Also watch when planets go into their pushkara positions by transit. In June 2005, many planets, Jupiter, Venus, Mercury, Mars, Saturn, Sun while as I write this article (23 July2005) only Saturn and Sun are pushkara in 6º Cancer. But Saturn is combust and Saturn is spoiling Sun. Therefore the ability of these planets to do good is limited. But their being in pushkara position, it suggests that despite their limitations and the pain that this conjunction has generated is there, but also there is hope and capacity for improvement. Prashna:If the prashna ascendant falls in pushkara or the karaka falls in pushkara, there will be a good ending. Lets suppose the question was about buying a new home. 4th lord is Mercury and is placed in the 8th house in Taurus navamsha in Libra. The immediate answer would be that there is difficulty in buying the house. But this is a pushkara navamsha; therefore there are some underlying factors that will make this negative aspect positive. It may be that not buying the house saved you from a big loss or there may be a better property ahead so not buying this property will be for your good in the long run. Relationships:if Venus, the karaka of relationships is placed in 14º Virgo. Now Venus in Virgo would usually create problems with relationships but the pushkara aspect will nourish Venus, make it feel supported and that would have good effect for relationships.